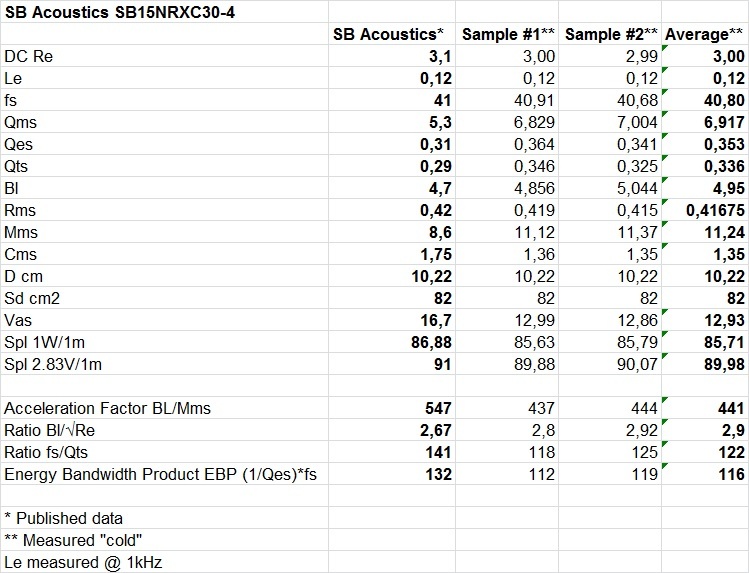 The SB15NRXC30-4 is a 4Ω 5″ mid-woofer from SB Acoustics. Good consistency between the driver unit samples. 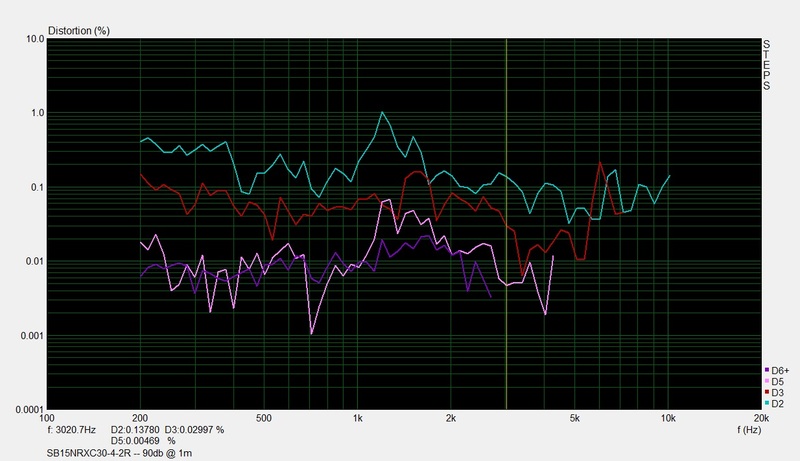 Just about the same Fs and about 1dB lower sensitivity than official specs. 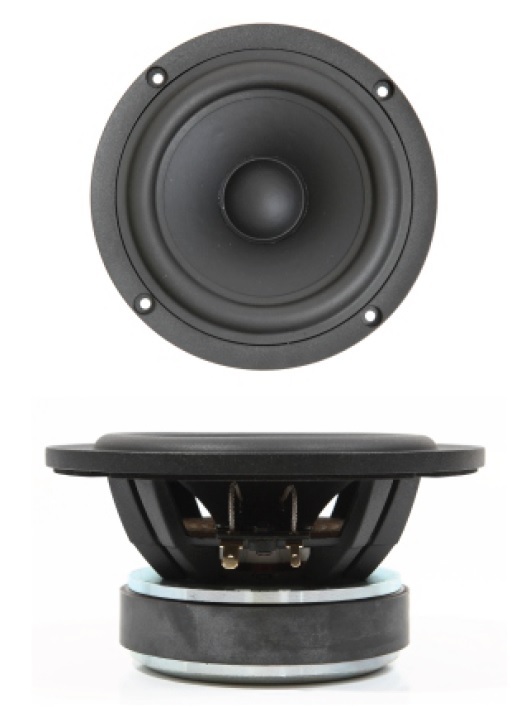 Due to the mid-woofers very low inductance and flat impedance response, the on-axis frequency response has an extremely linear and extended response up to about 12.5kHz. 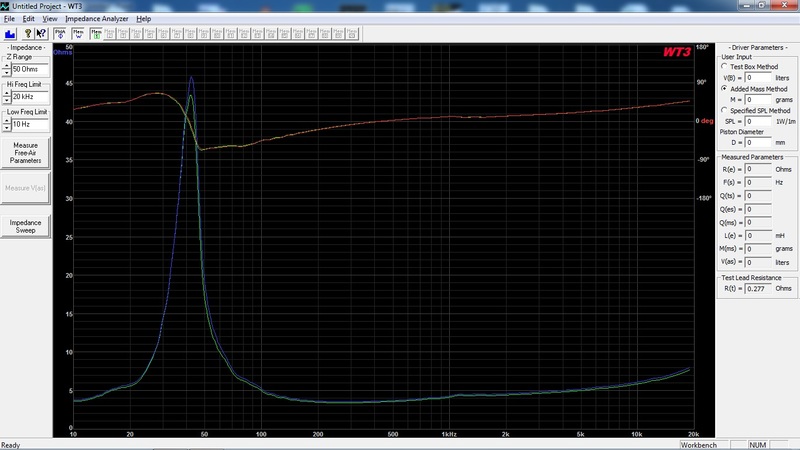 3-3.5kHz is about the highest suitable cross-over frequency for this mid-woofer.